The former Formula 1 World Champion, Jenson Button, has been announced as the latest big name on the grid for the FIA World Endurance Championship super season 2018-2019. The 38-year-old Briton will drive the #11 BR1-AER LMP1 prototype for the Russian team SMP Racing, starting from Le Mans 24 Hours in June. Button will skip the season-opening FIA WEC round at Spa due to clashing commitments in the Japanese Super GT Series, in which he competes with Team Kunimitsu. 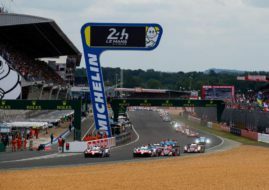 After that, he will join Russians Mikhail Aleshin and Vitaly Petrov in the world’s greatest endurance race at Circuit de la Sarthe and in other six events of the 2018-2019 super season. “As has been demonstrated over many decades, the 24 Hours of Le Mans remains one of the great motorsport challenges that World Champions wish to conquer. We are delighted to welcome Jenson Button to the WEC and to Le Mans in particular and are sure that his presence will be extremely popular with fans across the world,” said Pierre Fillon, President of the Automobile Club de l’Ouest. “This is very good news for all motorsport fans, especially those in the UK who will see Jenson at the 6 Hours of Silverstone in August. 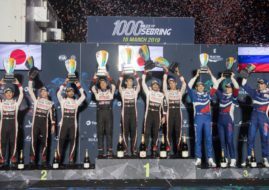 To welcome a champion of his standing and reputation is great for the whole WEC paddock,” Gerard Neveu, CEO of the WEC added.